Lauren Simpson, a visualization sciences student from Texas A&M, turned a whim into an award, recently earning a Woodie from mtvU for a stop-motion music video she conceived, directed and created, with the help of fellow visualization students, for the band Motion City Soundtrack. Simpson, joined by Michael Losure, a fellow Aggie “vizzer” who helped animate the winning entry, received the Best Video Award at the 2008 Woodie ceremonies held Nov. 12 at the Roseland Ballroom in New York City. The ceremonies, including Simpson accepting the award with members of the band and interviews with Simpson on the red carpet and backstage, can be viewed on the mtvU website http://woodies.mtvu.com/. Above: Vizzer Lauren Simpson makes adjustments to the dolls featured in her MTVu Woodie Award-winning stop-motion music video, “It Had to be You,” for the band Motion City Soundtrack. 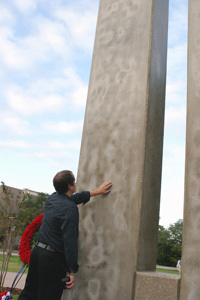 The memorial, a gift to the university from the Texas A&M classes of ’68 and ’03, was designed by Jorge Martinez, David McMillin, Hernan Molina, and Mariano Ortiz. All but McMillin, who works at an architecture firm in San Francisco, attended the ceremony. "Friday (Oct. 17) was the first time the design team saw the project since construction began. We didn't know how it was going to turn out, but I think it's great, and everyone's really excited about it," Ortiz told Jill Beathard of The Battalion. Read the full story and view images from the dedication. Hernan Molina touches the memorial he helped design. Aided by a $100,000 grant from the National Association of Home Builders, the Department of Construction Science at Texas A&M will assist its counterpart at Prairie View A&M University in enhancing the school’s residential construction management program. The construction science program at Prairie View A&M, a historically black university, was launched six years ago. We want to take Prairie View A&M by the hand, help them in establishing a residential construction management focus, and foster a relationship between them and the NAHB,” said Russ Peterson, an assistant professor of construction science at Texas A&M who will also be teaching at the Prairie View campus as part of this partnership. Read the full story and see videos of program endorsements featuring Elsa Murano, president of Texas A&M and Jorge Vanegas, interim dean of the College of Architecture. Michael Fountain is charging ahead with his architecture studies after receiving a double lung transplant in the summer of 2007. In March 2007, Michael Fountain, undergraduate architecture major at Texas A&M, received a chilling prognosis from his doctor. “’If we don’t get this stuff taken care of now, you won’t be here by Christmas,’” he said, quoting his doctor. 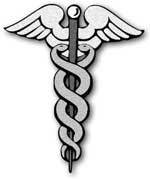 The “stuff” his doctor was talking about was pulmonary fibrosis, which had taken root in both of Fountain’s lungs. He believes the disease was contracted while he worked in a mobile home factory. Inquisitive students in Rodney Hill’s Design Process class at Texas A&M’s College of Architecture received special Halloween treats from a guest speaker, the likes of which Hill had never seen in almost four decades of teaching. On Oct. 31, Scott Moscrip, who heads two businesses ranked in the 2008 Aggie 100, a list of the fastest-growing Aggie-owned or Aggie-led businesses in the world, came to speak to Hill’s students. Such lectures are part of the Aggie 100 program, which is coordinated by the Center for New Ventures and Entrepreneurship at Mays Business School. “He handed me 40 sealed envelopes,” said Hill, who also received instructions to give the envelopes to the students who asked the best questions. Aiming to introduce some disorder into how Aggie architecture students think about design, architect Christopher Travis recently addressed Xuemei Zhu’s social and behavioral factors in design class. 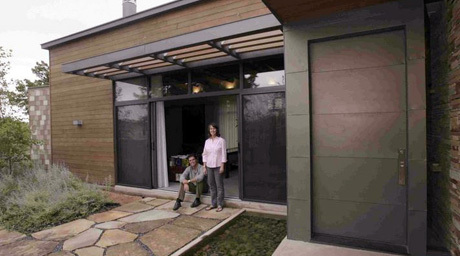 “My goal,” said Travis, managing partner of Sentient Architecture and CEO of Truehome, Inc., “is to disrupt the way you think about design.” His firm, which takes a unique psychological approach to designing homes, is headquartered in Round Top, approximately 50 miles southwest of College Station. He believes traditional architecture programming for private residences is based on a false premise — that people are rational when they’re asked what they want in a design for a new home. 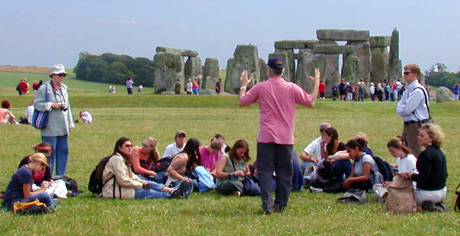 Texas A&M College of Architecture students visit Stonehenge, the prehistoric standing stone monument near Salisbury, while studying abroad in the United Kingdom. The college is looking to establish 40 new scholarships to support student study abroad. The College of Architecture has joined Texas A&M University’s Operation Spirit and Mind by establishing three new scholarships supporting the college’s study abroad program, and is looking to establish 40 more such scholarships over the next five years, according to Larry Zuber, the college’s senior director of development. Operation Spirit and Mind is a $300 million university scholarship initiative to augment the state of Texas’ efforts to bring top students to Texas A&M in the face of rapid population growth, rising demand for government services and difficult economic times. The new scholarships will bolster the College of Architecture’s Semester Away program, which requires all undergraduate students to spend at least one long semester either studying abroad, studying at another U.S. university or in a professional internship program. A Nov. 24 deadline is quickly approaching for three new scholarships available for graduate students through the Center for Health Systems & Design at Texas A&M’s College of Architecture. The scholarships were created by gifts from Nurture by Steelcase, a healthcare environments company; Susan Rodiek, CHSD associate director of holder of the Ronald L. Skaggs Endowed Professorship in Health Facilities Design; and David Watkins, FAIA, of WHR Architects. Work by Spring 2009 Artists-in-Residence. 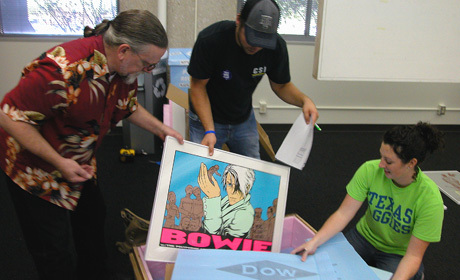 Students have the chance to work with renowned artists and earn class credits this coming spring through the Texas A &M College of Architecture’s Artist in Residence Program. Each month, from February through April 2009, a different artist or group of artists will visit the college, and work with students enrolled in VIZA 629, a 3-credit hour course that includes all three Artist in Residence workshops. Or, students may opt to participate in one or two of the three workshops by signing up for VIZA 485 or 685, earning 1 credit hour per workshop. The Spring 2009 Artists in Residence are: Michele Brody, who creates site-specific, mixed media installations and works of public art; Rebar, a San Francisco-based art design collective; and Jenny Sabin, who teaches at the University of Pennsylvania School of Design. A din from students operating welders, table saws, the CNC mill and plasma cutter and various other power tools recently reverberated in the College of Architecture’s cavernous Architecture Ranch facility, disrupting an otherwise quiet fall morning at Texas A&M’s Riverside Campus. 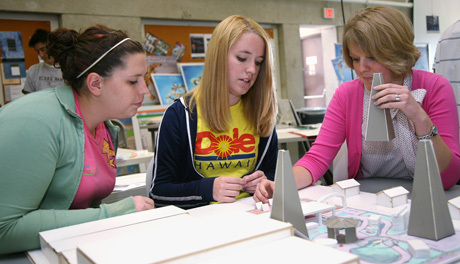 Students in Jill Mulholland’s visualization design studio were readying their projects for midpoint review. As the projects took shape, they were separated into loosely defined categories reflecting the wide variety of media in which the students were working. The abstract shapes, created with concrete, metal, wood and combinations of the three, reflected the nature of the class. Model by Alan Thetford and Sarah Foster. Texas A&M architecture students unveiled designs for a new facility to house the Victory Family Recovery Center, an inner city faith-based drug treatment program in Houston, during a public presentation set for 5 p.m. Nov. 19 at Victory Family Church, 712 Llano St. in Pasadena. Five alternative architectural designs for the 14-year-old center were presented in models and sketches developed by students in a fourth-year healthcare architecture studio led by George J. Mann, holder of the Skaggs-Sprague Endowed Chair in Health Facilities Design at Texas A&M University. “The students were challenged to create a facility that better portrays the transformative mission of the Victory Family, which has been hampered by the run-down, dilapidated buildings currently in use,” said Steve Treviño, the center director. 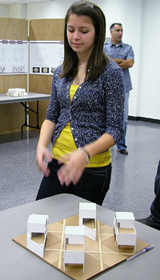 Students in Carlos Reimers design studio at the Texas A&M Department of Architecture recently addressed a variation of what is known as a “Nine Square Grid” design problem in entries they prepared for the 2008 Shinkenchiku Residential Design Competition, which is hosted annually by the Yoshioka Foundation in Japan. The nine square grid problem is a teaching tool developed by John Hejduk, an architect, conceptual artist, teacher and writer, to familiarize students with architectural space. Building design created by Anthony Legamaro of Corpus Christi and Jason Drews of Houston. Students in an Architecture-for-Health design studio at Texas A&M University will unveil their conceptual drawings and models for a new building on the Texas A&M Health Science Center’s new Bryan campus that will house HSC administrative offices, as well as classrooms and meeting spaces. The public presentation will be held at 4:30 p.m. Friday, Nov. 21 in Room 122 of the John B. Connally Building, located at 301 Tarrow St. in College Station, adjacent to the Hilton Hotel and Conference Center. 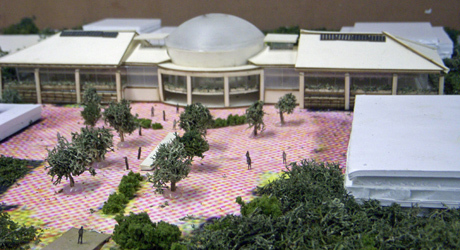 The students were asked to provide designs for a building to house the HSC central administration facilities, its academic and outreach centers and a 650-seat auditorium. Additionally, the student designs include a banquet hall, an executive dining area, a lecture hall seating up to 125 people, classrooms, seminar rooms, conference rooms and parking for at least 400 cars. From left are Raechel Schneider, Erin Dossey and Nicole Bell. Texas A&M architecture students made a contribution to the future of the Central Texas Oil Patch Museum in Luling by presenting designs Oct. 15 for its proposed outdoor exhibit park. They were in a design studio led by Susan Rodiek, assistant professor of architecture and holder of the Skaggs Endowed Professorship in Health Facilities Design. Texas A&M’s College of Architecture students who studied at the Academy for International Education in Bonn-Dusseldorf Germany in 2006 are now published artists. Their work appears in “Architectural Design & Typology of Building Forms and their Depiction: Student Work I 2003-08,” a compilation by Anton Markus Pasing, a professor of practice at Texas A&M’s College of Architecture and professor of architecture at the Peter Behrens School of Architecture in Dusseldorf, who gathered the work of visiting Aggies and other students for the book. Tiffany Sanchez put her illustration on the doors of the Wright Gallery. "Light and Color hang in the transparent planes as a series of faint echoes, suggesting the transparent layers of our own memory, a picture of vaguely remembered images and childlike dreams," wrote Henry Plummer. Art spontaneously appeared at various locations around the Langford Architecture Center in October, created by students in Jill Mulholland’s VIST 205 design studio. They were asked to create pieces illustrating a sentence in “The Light in Japanese Architecture” by Henry Plummer and make a connection between the piece and where it was installed. Plummer’s work is a long-form essay, illustrated by full-color photos, that strives to convey how Japanese architects respond to and manipulate light in historical and contemporary works. Glen Mills discusses his white paper during the symposium’s Research Area White Papers roundtable. 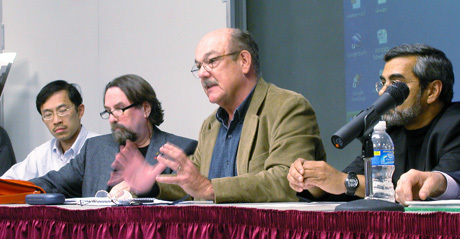 From left are Ming-Han Li, Phillip Tabb, Mills, and Vallie Miranda. Faculty members at the Texas A&M College of Architecture presented a wide variety of research at the college’s 10th annual research symposium, held Monday Oct. 27 at the Langford Architecture Center on the Texas A&M campus. The daylong research showcase featured a series of faculty presentations previously delivered at scholarly venues around the world. This year's symposium included invited or refereed presentations and papers from the 2007-08 academic year. Faculty from Texas A&M’s College of Architecture debated aspects of architecture’s future Sept. 11 in the Dutch Pavilion at the 2008 Architecture Biennale in Venice, Italy. The discussions were part of a weeklong project, “ARCHIPHOENIX,” hailed by organizers as a stage for research and exploration, as well as a debate platform focusing on the capacities and capabilities of architecture beyond building. Michael O’Brien, professor and associate head of the Department of Architecture at the Texas A&M College of Architecture, told CNNMoney.com that homes built by high-end market residential housing manufacturers often have advantages over housing built by local contractors. "In the factory, the materials never get wet and there's a lot more quality control than you get on a job site," he said. Read the full story at the CNN website. Walter Gillis Peacock, director of the Hazard Reduction and Recovery Center at Texas A&M, recently shared details of his personal encounter with Hurricane Andrew in 1992 with the Houston Chronicle. "I was (in Miami) and had to share a household with four other families for nearly six months, and right after the storm, there was at least three or four days of zilch happening," he told Chronicle reporter Bradley Olson in a Sept. 19 story about the Houston area’s recovery from Hurricane Ike. "But especially compared to Katrina, Lord have mercy, it's been a good bit better." Peacock, who also servers as interim executive associate dean for the college, said emergency responders and elected leaders in the Houston area managed the crisis and avoided major loss of life. A Weird Universe reader posted details Sept. 29 of research conducted in part by two Texas A&M College of Architecture professors and their colleagues showing that nature paintings reduce males’ stress levels in an office setting. The research was published by Lou Tassinary, professor of visualization and the college’s associate dean for research, Roger Ulrich, holder of the college’s Julie and Craig Beale ’71 Endowed Professorship in Health Facilities Design, and two associates. “We found that nature and abstract art posters have a significant influence on state anger and stress for male participants, but not for female participants,” the research team reported. “Male participants experienced less state anger when there are art posters on the wall of the office setting than when no art posters are present.” State anger is defined as anger at a given moment. A Nov. 10 article published in The Battalion tells of the TAMU Water Project, an ongoing initiative aimed at providing potable water to colonias residents. The Center for Housing and Urban Development at Texas A&M’s College of Architecture is facilitating this multidisciplinary effort. CHUD deputy director Oscar Muñoz and Stephen Carpenter, an associate professor in at Texas A&M’s Teaching, Learning and Culture program, launched the program, the Battalion reports, after learning about a simple, low-cost water filter made of clay, sawdust and colloidal silver that can be used to provide safe drinking water. The project has since expanded to include the support of multiple agencies and four graduate students. Robert Dolibois of the American Nursery and Landscape Association said the landscaping industry needs to become more environmentally friendly during an Oct. 9 appearance at Texas A&M as part of the Ellison Chair in International Floriculture’s Distinguished Lecture Series. New programs, he said, such as the Sustainable Sites Initiative being developed in Austin in cooperation with the American Society of Landscape Architects, the Lady Bird Johnson Wildflower Center and the U.S. Botanical Gardens, are a start in the right direction. The Sustainable Sites Initiative will measure the sustainability of designed landscapes of all types including public, commercial, and residential projects using a site rating system now under development. It’s similar to the U.S. Green Building Council's LEED rating system that measures a building's environmental impact. Briana Morrison’s Study Abroad adventures are continuing. Morrison, a landscape architecture major at Texas A&M’s College of Architecture, is blogging about her experience living in Bonn, Germany. “The place was surreal,” said Morrison of a tour of Schloss Dyck, a former palace of a German royal family. “Now, as our own department, we have more freedom to modify the program," department head Tim McLaughlin told the Battalion. The national search for a new dean to lead the Texas A&M College of Architecture resumed in November with the formation of an advisory committee chaired by Luis A. Cifuentes, interim vice provost. The 17-member committee includes seven college faculty members who were selected using standardized balloting process, according to an Oct. 31 announcement from Jeffery S. Vitter, provost and executive vice president of the university. The other at-large committee members — three additional faculty representatives, a current student, a former student, a college staff representative, a representative from the Texas A&M Foundation and an external faculty member — were appointed by Vitter. Texas A&M University once again has a full-time architect on staff to oversee campus building initiatives. L. David Godbey, who has served for 16 years as assistant director in the Physical Plant Department, was recently appointed as interim university architect by president Elsa A. Murano. Godbey will consult with deans, department heads, and others as needed regarding design review and other aesthetic building issues outlined in Texas A&M’s master plan and recommended by the university’s Council on the Built Environment, said Charles Sippial Sr., vice-president for facilities. He will also serve on committees for all major university projects managed by the Facilities Planning and Construction Department and will attend design meetings on these projects. The Texas A&M College of Architecture's Facebook page has gained over 800 fans since launching last February on the popular Web network. The College of Architecture regularly posts news, events, photos and videos on its Facebook page to keep "fans" up to date on current events on and off campus. Weir/Andrewson Associates, located just north of the Golden Gate Bridge in central Marin County, Calif., is seeking to fill a full-time entry-level architectural position. The firm is looking for architecture graduates with 0-2 years of experience. To apply, email an informal expression of interest along with curriculum vitae and work samples to Brian Ashworth at brian@waassoc.com. The firm provides engineering and architectural consulting services to the design, construction and legal communities. Susan Kirchman, who retired from the faculty at Texas A&M University’s College of Architecture in 2005, is having an impact on the art scene in Central Texas. She and Warren Vilmaire recently opened Kirchman Gallery 2 in Johnson City, approximately 50 miles west of Austin, to display art glass, jewelry and original painting, sculpture, photography and printmaking. The original Kirchman Gallery is also in Johnson City. 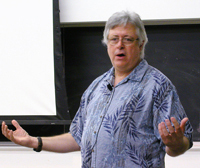 Kirchman, who joined the Department of Architecture in 1985, was the first program coordinator for the Master of Science in Visualization Sciences program. 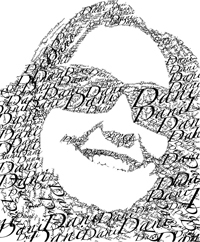 In 2002, she received Texas A&M’s Distinguished Achievement in Teaching award. 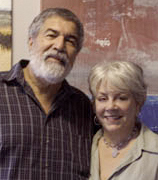 For more information Kirchman’s galleries and her art, read the Oct. 22 Blanco County News report on the gallery opening or visit Kirchman Gallery’s website. “Never give up and don’t let people tell you what you can’t do,” says Bob Albers, managing director of an information technology company in Thailand and one of 11 former students from the Texas A&M College of Architecture who earned a spot among the 2008 Aggie 100, a list of the fastest-growing Aggie-owned or Aggie-led businesses in the world. A 1987 building construction graduate, Albers’ company, Project Solutions International (Thailand) Company Limited, placed ninth on the list, which is compiled annually by the Center for New Ventures & Entrepreneurship at Texas A&M’s Mays Business School. He attributes some of his business success to his time in the Aggie Band and Corps of Cadets, where he said he learned to improvise, overcome and adapt. Alber’s company has been providing professional resource and staffing services to the engineering, construction, petrochemical, power generation and oil and gas industries for more than 20 years. He and rest of the 2008 Aggie 100 honorees were feted at an Oct. 31 awards luncheon hosted by the Center for New Ventures & Entrepreneurship. Ko Wibowo, who received a Master of Architecture degree from Texas A&M University in 1996, designed a home to build for his family in a Tacoma, Washington suburb, and the neighbors were not pleased. Dwell magazine featured Wibowo’s tale in its Oct. 2008 issue. Discouraged, he and his family gave up building on the lot and sold it, but the story has a happy ending — he acquired another lot and had the house built there. Joe Mashburn, an Outstanding Alumnus of the Texas A&M College of Architecture, is stepping down after 11 years as dean of the University of Houston’s Gerald D. Hines College of Architecture to concentrate on design. “Design has always been in my life plan, and I think it's the time in my life that I do this, especially since I will be 68 years old next summer," he told Jonathan Harris of the The Daily Cougar. 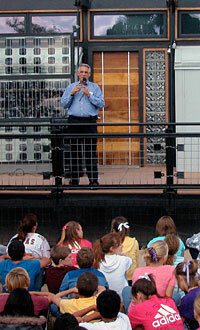 Mashburn, who received a master’s degree in architecture from Texas A&M in 1982, served as an assistant professor and graduate design coordinator at Texas A&M’s College of Architecture from 1982-88. For his contributions to Texas A&M, community and family, Ron Skaggs, chairman emeritus of Dallas-based HKS, Inc. and an Outstanding Alumnus of the Texas A&M College of Architecture, was presented the Jimmy Williams Distinguished Service Award by the Dallas A&M Club at the group’s Oct. 14 banquet at the Royal Oaks Country Club in Dallas. Elsa Murano, president of Texas A&M, was one of the speakers at the event. Skaggs, who remains actively involved at HKS, serves as principal in charge of various healthcare projects. The Jimmy Williams Distinguished Service Award “is the highest award the Dallas A&M Club gives out; it’s not given every year,” said club past president Carl Baggett ’96. A tour denoting a resurgence of Modern-style homes in Dallas includes a residence designed by Bentley Tibbs, who earned his graduate and undergraduate degrees from the Department of Architecture at Texas A&M. Tibbs told the Dallas Morning News that he refers to his work as Southern modernism and described the home he designed as a “very, very casual house with a formal shape. It still reads modern in its sensibilities, but it's not necessarily using the modern vocabulary." update their contact info, share news! The College of Architecture strives to keep up with former students and share their successes in the Class Acts section of its archone. newsletter. Former students are encouraged to submit photos and news stories and briefs about their activities and achievements. Terse items are posted in by class year on the Class Acts webpage. Friends of the college as well as former students may update their contact information and submit news items online. Longer news stories, photos and assorted attachments should be e-mailed to editor@archone.tamu.edu. An expert on the “gigposter”, the latest art trend in rock and roll, will discuss the genre in conjunction with an exhibit, “Graphic Content: Art of the New Music Poster”, on display at the Texas A&M College of Architecture’s Wright Gallery through Nov. 22. Exhibit curator Dirk Fowler, associate professor of communication design at the Texas Tech University School of Art, will examine this emerging art form in a guest lecture slated 5 p.m. Nov. 13 in the gallery, which is located on the second floor of the Langford Architecture Center’s Building A. The Wright Gallery exhibit includes 100 gigposters, which promote “gigs”, or performances, by rock bands. Architorture, a Halloween celebration hosted by the American Institute of Architecture Students at Texas A&M, attracted many a costumed character. The annual spookfest was held Wednesday, Oct. 24 in the pit at Langford A. See Architorture 2008 photos by Igor Kraguljac. Approximately 300 junior high school students from across the area visited the Texas A&M College of Architecture’s solar-powered home Nov. 5 at the George Bush Presidential Library and Museum. The deluge of young visitors in College Station for Aggie Polar Palooza event, held as part of a national Polar Palooza program funded by the National Science Foundation and NASA to raise awareness on the effect of global warming on Earth’s polar regions, as well as the challenges of doing scientific research in such inhospitable environments. Many of the students proclaimed they would be able to live comfortably in the home, walking through it after Leslie Feigenbaum, the college’s assistant dean for undergraduate studies, gave the students a brief overview of the structure. Nonprofit agencies had a chance Oct. 24 to bolster their fund-raising efforts at the Funders’ Forum, co-hosted by the Texas A&M University College of Architecture’s Center for Housing and Urban Development and A Circle of Ten, Inc. The forum, which took place at the Brazos Center in Bryan, brought representatives from nonprofit agencies together with 45 government public and private grant makers from across Texas and the nation. The Forum offered nine funding panels focusing on funds for arts and humanities, economic development, education, health and human services, housing and infrastructure, libraries, museums and historic restoration, workforce, and volunteerism. Photography Class Exhibit — Students in ENDS 311 will display their semester’s work 8 a.m. – 5 p.m. in the Langford B exhibit hall. For more information, contact Howard Eilers at 979.845.4685 or h-eilers@tamu.edu. End of semester VIST show — An exhibit showcasing the flat work of the undergraduate visual studies classes in the Department of Architecture starts at 5 p.m. in the Langford B exhibit hall. The classes on exhibit include photography, graphic arts and figure drawing. At 6 p.m. time-based work will be screened in the Geren Auditorium. Following the screening a light show created by students in Jill Mulholland’s VIST 205 class will be on exhibit through out the Langford Architecture Center until 10 p.m. Terry Larsen, associate professor of visualization, said “it’s easily the most visual event the VIST program puts on every semester; a time for students to celebrate accomplishments and look forward to next semester’s activities.” For more information, contact Larsen at 979.845.3465 or tlarsen@archmail.tamu.edu. VIST exhibit — Still and interactive work from the Visual Studies undergraduate classes will be on display in the Langford B exhibit hall during regular hours. For more information, contact Terry Larsen at 979.845.7068 or trl@archone.tamu.edu. LAUP faculty meet — Faculty from the Department of Landscape Architecture and Urban Planning meet 11 a.m. – 12:30 p.m. in Langford C207. For more information, contact Debby Bernal at 979.845.1019, or dbernal@tamu.edu. Room Full of Blues — Faculty members Tom Woodfin, Glen Mills, Yilmaz Karasula, Bill Jenks, Francisco Farias, Doug Wunneburger, and Mark Clayton will gather for a jam session in Preston Geren Auditorium from 5:30 – 7 p.m. For more information, contact Mark Clayton at 979.845.2300 or mark-clayton@archone.tamu.edu. Certificate awarding — Graduate certificates will be awarded to graduating students in a special ceremony slated 3-4 p.m. in the Wright Gallery. A reception will follow. For more information, contact Trisha Gottschalk at 979.845.2030 or trishag@tamu.edu. MS-VIZ Fall Show — Master of Science in Visualization Sciences students will exhibit their time-based work from the fall 2008 semester 1 – 3 p.m. in Langford C414. This show offers a preview of works in progress for this Spring’s Viz-a-GoGo 16. For more information, contact Margaret Lomas-Carpenter at 979.845.3465 or marge@viz.tamu.edu. Architecture faculty holiday luncheon — The Department of Architecture’s faculty meeting will be followed by a holiday lunch 11 a.m. – 1:30 p.m. in Preston Geren Auditorium and the Langford B exhibit hall. Fall commencement — U.S. President George W. Bush will address fall 2008 Texas A&M graduates at a special commencement convocation set for 10:30 a.m. in Reed Arena. 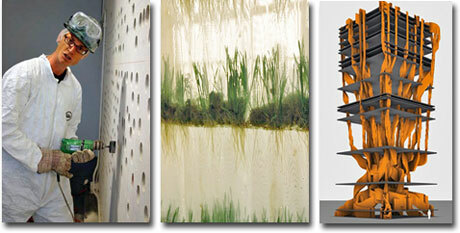 The College of Architecture’s fall 2008 commencement ceremonies will be held from 2-4 p.m. in Reed Arena. For more information, contact Ann Eastwood at 979.845.0289, or aeastwood@archone.tamu.edu. “C206” faculty art exhibit — “C206,” and exhibit featuring the work of three faculty members who share an office in building C will be on display in the Wright Gallery. The exhibit will feature terra cotta pottery by Brian Dougan, assistant professor of architecture; photography by Marcel Erminy, architecture senior lecturer; and work by Joshua Bienko, assistant professor of visualization. For more information, contact Brian Dougan at 979.862.6850 or bdougan@tamu.edu. 2009 Rowlett Lecture — The 30th Annual John Miles Rowlett Lecture will be held at the Annenberg Presidential Conference Center on the Texas A&M University campus in College Station, TX. The featured distinguished firm is to be announced. For more information, contact Susie Billings at 979.847.9357 or sbillings@archone.tamu.edu or visit the Rowlett Lecture website at http://archone.tamu.edu/rowlett/ for updates. AIAS Career Fair — The American Institute of Architecture Students will host firms in a career fair in the Langford Architecture Center building A from 8 a.m. – 5 p.m. each day. For more information, contact Amy Kircher, amy_k@tamu.edu. Aggie Workshop — The five-day workshop organized by American Society of Landscape Architects Texas A&M Student Chapter takes place at the Langford Architecture Center. For more information, contact Myra Kretzchmar at 979.845.1046 or myrak@archmail.tamu.edu. CHC 10th annual symposium — “Building on Green: Preservation and Sustainability” is the theme for the 2009 Center for Heritage Conservation’s annual symposium. The Friday night lecture in Preston Geren Auditorium, featuring keynote speaker Donovan Rypkema with PlaceEconomics of Washington, D.C., is open to the public. For more information, contact Charla Cook at 979.845.0384 or ccook@archmail.tamu.edu. Registration information is coming soon on the CHC’s website at http://archone.tamu.edu/chc. During a fall semester afternoon one could literally see music blasting forth from the piano near the dean’s office at Texas A&M’s College of Architecture as part of a VIST 205 project led by architecture lecturer Jill Mulholland. "The exercise was intended to get people more in touch with the places they are in every single day by altering them and making them different,” she said. 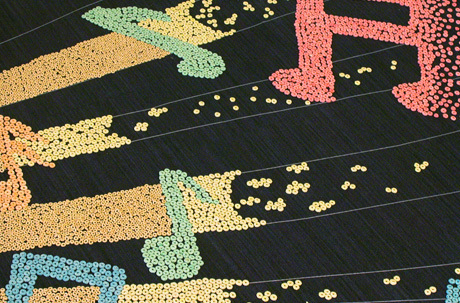 The installations, like the mural above created from breakfast cereal, were all made of food.